I don't know about you, but I keep lists. Lists of things to do, paintings to paint, books to read (and write), blog post ideas, wish lists, movies to watch, household jobs, orders to make up, paints to order, website elements to add...I rather need lists of my lists. I keep them in a notebook, so they are all together, and refer to them often. I work in paper notebook and with a paper diary as I still find that the most efficient way to manage my time. I had to go to October in this year's diary to find a month that has nothing in it - yet - though I plan to go to the US and Canada...anyway, here is the weekly spread from my favourite planning diary. actually has enough room for Saturday and Sunday activities (!) and also a notes section on each weekly spread. That's where I plan out my weekly tasks. It also has a planning section for each month - that's where I plan out the monthly tasks. But it only has a few (well - 6) pages for notes in the back. There is a page for Websites, there is a Wish List page, one each for Movies, Books, Restaurants/Bars, 6 pages of Expenses and 4 for Addresses. It's been well thought through. But not enough room for all my lists. 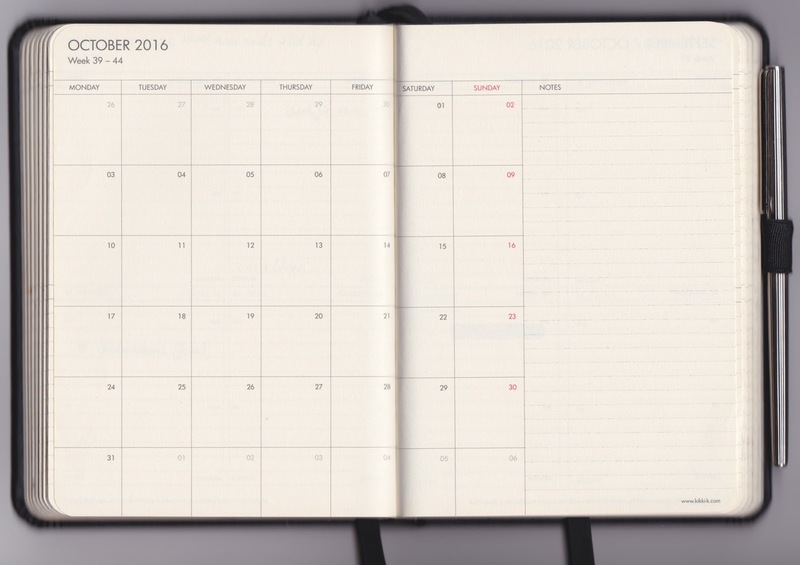 Yes I could go back to the Filofax system and have them all together in one folio but I prefer this style of annual diary. So I keep another notebook for lists. It's better than lots of pieces of paper or stick-it notes. I have tried cutting out indentations creating different sections but you end up wasting pages when other sections take more space than expected. So I simply add an index to the back of the notebook, number each page (the Leuchtturm1917 are already numbered) and start a new page for each list, adding that page number back into my index. It works. Mostly. I'd tick the tasks completed, asterisk the most important, and the rest would just have a • waiting to be done. I'd write them into the next week or the next month (or the next year...) and those • would still be there, catching my attention when I looked back through even though they had been written elsewhere. Then I came across a very clever little symbol '>' in the Bullet Journal system designed by Ryder Carroll. In his system, > means migrated to another place. He also uses < to mean scheduled for another month but that is not as significant as the > to me. All those visually distracting little • marks get turned into > when I have migrated them elsewhere and I don't have to look at them any more. The power of one little symbol. Thanks Ryder! Cross out the task if it is not longer relevant - don't waste your time.
! research needed, *priority, etc can be added to emphasis the above notations. I do all of this online. I used to do so on a pocket Month at a Glance calendar when I was in college but as soon as I could go paperless I was there. Whenever I sync my phone everything is on both devices so no problem. But I do like the Levenger Circa system. I like some of their circa notebook fillers but mostly I like their system of covers and discs that allow you to remove, insert and rearrange the pages. I have a circa punch so I punched some watercolor paper to make my own journal. That way I can take pages out, put them in and rearrange them. And the quality is much better than journals you buy ready made. I have always adored stationary. I've played with many systems, trying to find one perfect hold everything book, but in the end I've decided to carry three - a diary, a notebook and a good quality watercolour sketchbook. Ideally my notebook is able to take watercolour washes so it can double up as a watercolour notebook too, though the present one has paper that is too thin. M.. I do the same. I'm using a Circa as my watercolor sketchbook. 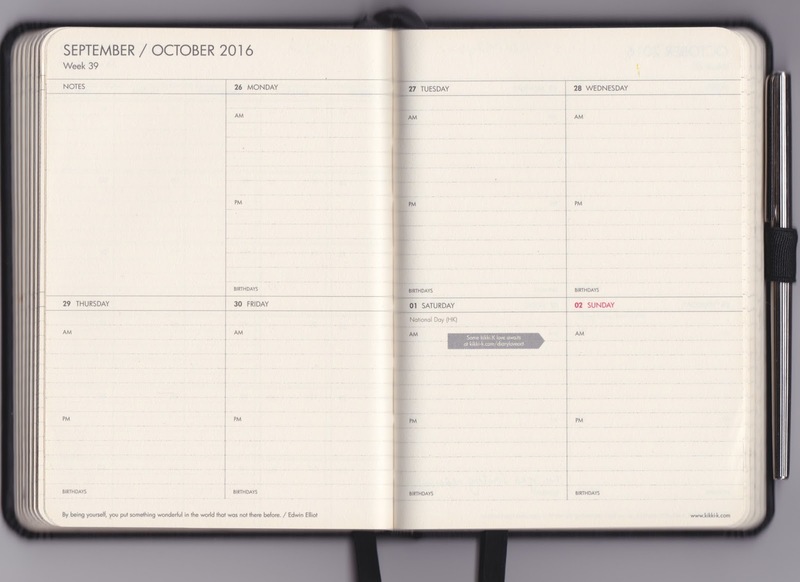 As much as I would like to return to a paper planner, I've been using an electronic one for 20 years and I just can't beat the convenience. Since the 1990's I've used Outlook and some form of handheld (Palm Pilot, Visor, iPod Touch, Nexus 5). I have hundreds of memos ("notes" in Outlook) with lists and other things I want to remember. Can't carry all that around in a planner. I've used iCal as a diary for 20 years so that's not changing. I've added Evernote. I am going to be investing in one of the new iPad pros so I can have all of my photos for reference for my watercolors. I really like the circa system. I imagine you could create a hybrid book with calendars, notes, watercolor paper, etc. as long as you had your own circa punch. I started using a blank journal in the bullet journal style last October... I work with it every day now, and just bought a new one for May, b/c the first one will be filled by the end of this month... I add artwork to my daily journaling pages, and all those 'lists of lists' stay intact, in one place. Loving it! Of course, as an artist, it's evolved and is heavily modified from the original concept. But it works as a repository for those "things to do"! Come to think of it, I ought to share some of the pages on my blog soon. :-) Mine is not one I'll share - it's not intended as a pretty book, though it is neatly written (in fountain pen of course) and well-organised. It's just a book of lists and tasks and reminders. I haven't managed to just use one sketchbook for everything so I don't think I could ever use just one notebook, though if it works for you that's brilliant! Keeping everything together would be a nice record of your life. I have sketchbooks of different sizes and different papers for different purposes, so carrying a diary and a notebook and a sketchbook as three separate items makes sense to me. Greetings Jane, and hello to Karen, a fellow Ohioan, I see! You have a Findlay, Ohio dweller here. I have just recently gotten into the Bullet Journaling idea, also trying to combine the flow and forward planning of my artwork with all the rest of life. I have FINALLY decided to use the Master Leuchtterm 1917 dot paper format. (You'd have thought I was choosing a husband for as long as it took me!) Watercolor and Mixed Media is my passion, but as you girls know, 90lb. paper a wet media surface does not make. Lightly applied watercolor pencils in a general sketch mode works fine. I do layer other papers onto the art (left hand) side of each weekly spread I create, which is a lot of fun. It becomes an idea repository for oncoming works. I also reserve a long, one-third page-ish rectangle of blank space for use as my bulleted list of things that must be done or forwarded to the next week. The right side page is divided any which way amongst seven day planning. So far, about three weeks in, I'm still muttling around a bit, trying to find my go-to format. It's like the fear of a pristine white, clean sheet of watercolor paper - once I put down that first pencil mark or brush full of paint, fear is released and I'm good to go. I will appreciate any further thoughts and tips you find in your daily bullet journal time. Jane, I got to this topic to begin with because I am a TOTAL fountain pen / watercolor / stationery lover too. That obsession is for another post entirely! It just all mixes together in my studio - I don't dare turn on a fan! I'll look forward to your and Karen's future posts! Have a great one . . . Although I love the digital world I have been a list person for years. Each night before I go to bed and write tomorrow's list. Cross off the tasks completed at the end of the day and add the uncompleted onto the next list. My lists are immediate tasks. I hold future tasks in my head until they become immediate. The bullet journal is a great system. One that I had not heard off. I will give it some thought! There was another system with a 'not yet scheduled' list. Gets those items out of your head to make room for more ideas! Well, I'm the 'list making girl' myself and for years I couldn't find the right system to separate different lists but keep them close. Last year I discovered midori style notebooks. But since I prefer the 'moleskin' size 13cm by 21cm sketchbooks I made my own 'midori style' leather cover and have my sketchbook and separate small notebooks (ephemera, diary, etc all diy) booklets for lists and stuff. Works for me perfectly! THis I call my EDC sketchbook/notebook/diary- sometimes even my sketching survival kit:). I use a bit less complicated bullet system in my diary and my emphemera booklet and things seem so organised now. Thus makeing organised fence around my creative sandbox to freely play in.